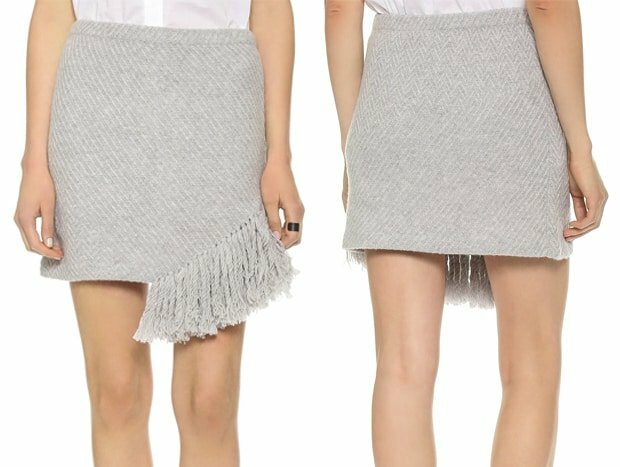 Okay, we’ve seen enough celebrities wearing fringed clothing to deduce that it is, indeed, the hottest skirt trend today. 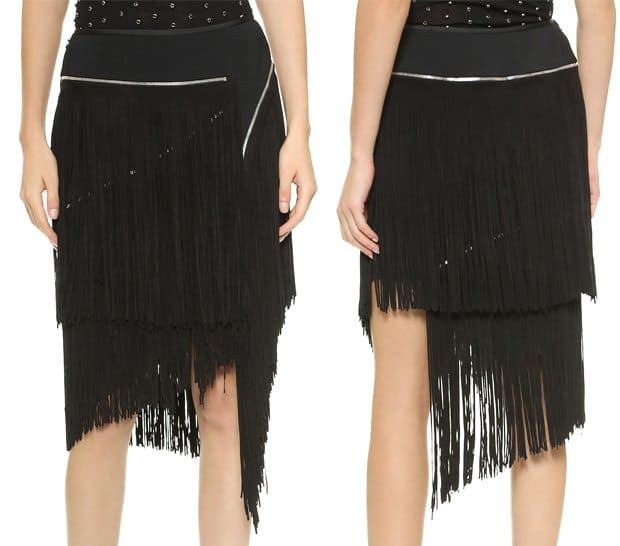 We’ve been waiting for the 1920s flapper trend to make a comeback, but it seems like it has already happened. British model Sarah McDonald looked fabulous in her black fringed skirt that she wore with a simple black sweater and a pair of black pumps. She spiced up the all-black look by adding a pop of red courtesy of her bag. 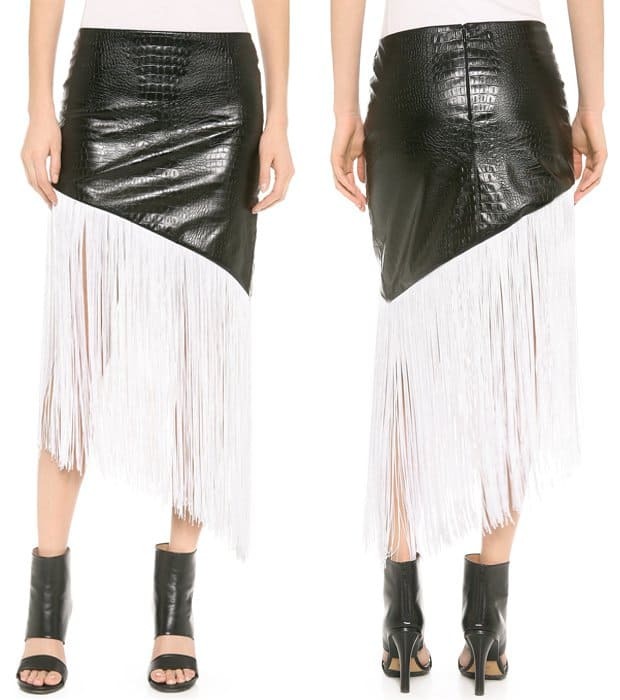 Even Kim Kardashian, who usually wears pencil skirts, deviated from her signature look to don a Roberto Cavalli fringed skirt. The ShoeDazzle founder paired it with a sheer top, a long velvet robe and a pair of strappy sandals. The ever-lovely Lily Collins was among the first celebrities we spotted wearing a fringed skirt. She attended the Chanel F/W 2014 show a few months back wearing a metallic fringed skirt, a contrasting printed sweater, striped pumps, and a fringed bag. Actress Dakota Fanning dazzled in a suede red fringed-hem dress. Supermodel Heidi Klum couldn’t resist twirling in her royal blue fringed dress. Trend-setter Olivia Palermo spearheaded the love for fringed-anything with this dress last year. 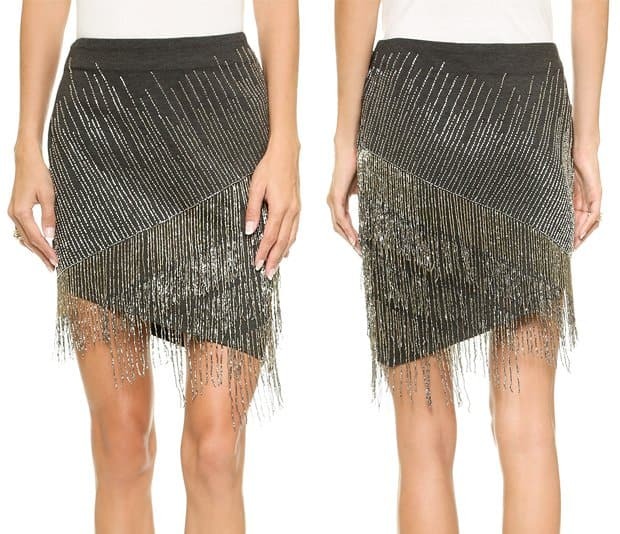 How do you like the fringe skirt trend? Let us know by leaving a comment below!